Posted September 20th, 2014 by & filed under Best Friend Betrayal, Piddle Party, Submitted. Our doggy Ramathorn cut his foot and had to be on sedatives. 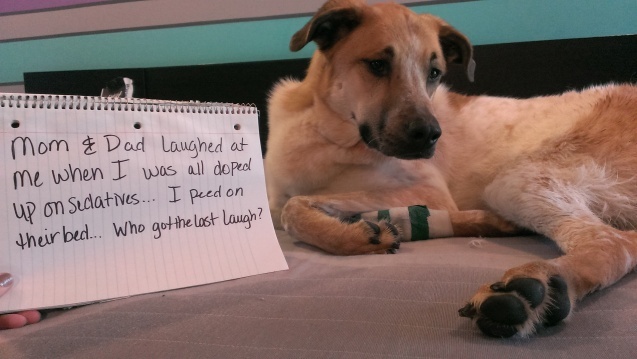 He was all doped up and it was hysterical until he peed on our bed.